About Taken just after a recent storm. Using the mirror lock-up feature on my camera makes my images look much clearer. 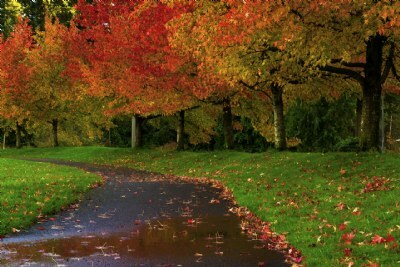 A beautiful fall image. Well done! Very nice Paul, colours are superb. Lovely composed with reach atmosphere of Autumn ... lovely perspective, reflection on the pond is beautiful and vibrant colors gives vibrant feelings ... very nicely presented. wonderful fall colors!!!! well done dear Paul!!! !